Composed by Jan Mulder. Sacred. With text language: Dutch. 2 pages. Published by John Miller Publishing (J2.6639). Key: C. Text: Jan Visser. 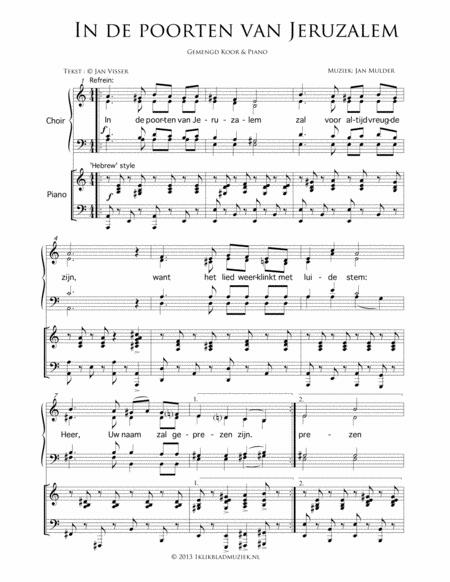 Composed by award-winning composer John Mulder, for mixed Choir and Piano/organ, flute accompaniment sheet music is available separately. John is a famous composer who has recorded 265+ albums with world-famous orchestras such as the London Symphony Orchestra and The Moscow Symphony Orchestra. His compositions and arrangements (over 1,200) have been broadcasted on PBS and Christian public television networks. The CDs of Jan can be heard daily on the radio in America, Great-Britain, South Africa and European countries such as the Netherlands, France and Germany. Full score and Parts for orchestra are available. 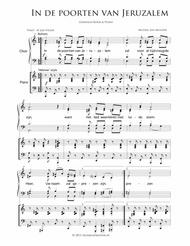 Published by 1ClickSheetMusic. Raise the Wave of Praise!